Kat and Karl : groomsmen! 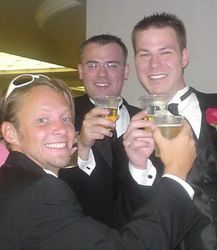 cheers to matt and meredith! blake, ryan, and karl in their tuxes!